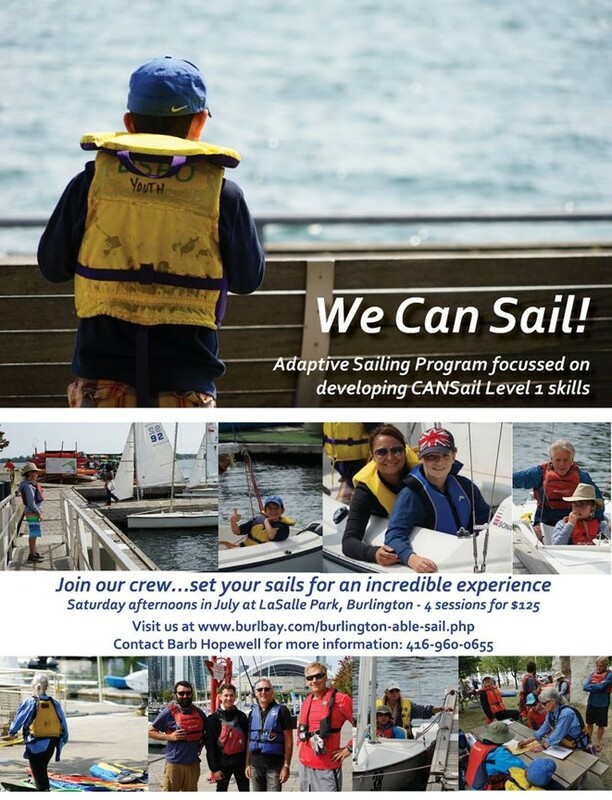 Children's Adaptive Sailing Program - "We Can Sail"
The Toronto Disabled Sailing Association of Ontario (DSAO) . They are an Able Sail Network (ASN) affiliate, providing disabled sailing programs for the Toronto & GTA. To make a donation to this program, make your cheque payable to "Burlington Able Sail" and mail it to the Treasurer, Phil Taylor (address below). A charitable tax receipt will be issued by our treasurer for all monetary donations to the program. Address: 10 Cameron Ave. S.